The newly christened Charter College & Career Prep has started this school year with a myriad of new services that emphasize early college participation and success, as well as a curriculum rich with hands-on learning experiences. The program, which is located at the El Dorado County Office of Education in Placerville, merged two charter programs to create greater opportunities for students. The Advanced Education Program allows the Charter students to take community college courses concurrently during high school for free while earning both college and high school credits. Charter College & Career Prep and the Folsom Lake College El Dorado Center (conveniently located next door) work together to support students in their efforts through planning and meeting with each student. A Folsom Lake College Outreach Specialist meets with students twice a month to help streamline college enrollment and to ensure students have a positive and successful first experience at FLC. The combination of the early college program and applied learning opportunities have proven very popular with the students as well. “Culinary Arts is great because it is a life skill and prepares us for adulthood. This is an opportunity that most charters don’t have. Here, we have good food and good people,” remarked student Noelle Green. 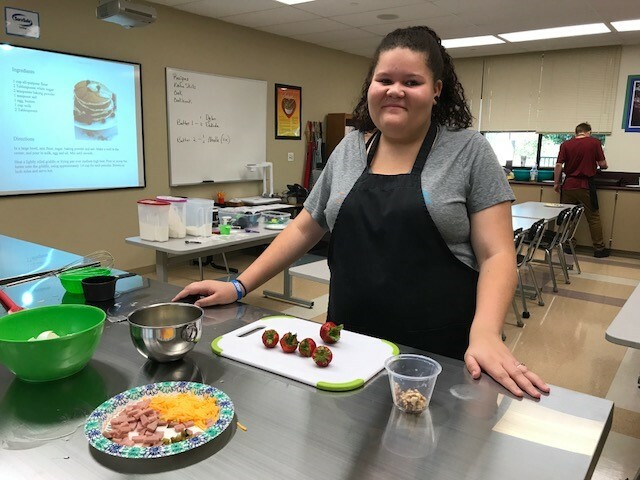 Pictured above: Noelle Green displays her ingredients during a breakfast preparation in Culinary Arts class. 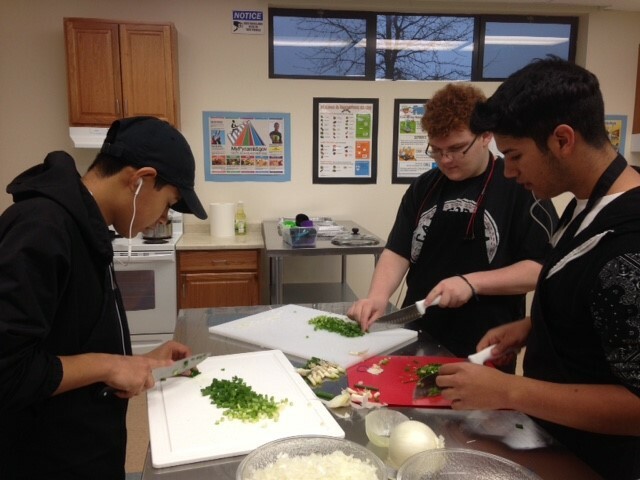 Pictured above: Bryan Jimenez, Elias Brown, Alexander Camancho practice mincing in Culinary Arts class. The Advanced Education and applied learning programs at Charter College & Career Prep are examples of the many ways Charter Alternative Programs help guide students toward a successful transition into higher education and the workforce. Additional information about Charter College & Career Prep may be found at http://charter.edcoe.org/ or by calling (530) 295-2259.